Everyone knows the story of Pride & Prejudice. It’s one of the most famous novels and has been told and re-told many times. There are sequels, there are adaptations such as Pride & Prejudice & Zombies. This retelling is just a little different. This focuses on Mary, who sits square in the middle of the five Bennet daughters. Younger than the beautiful Jane and the clever Lizzie, older than the sillier Kitty and Lydia, Mary is in a kind of sibling no-mans land. She isn’t a sympathetic character in the book, portrayed as bookish, prudish, lacking in musical talent and tiresome, a spouter of righteous remarks. Most P&P readers are passionate about the love story of Darcy and Elizabeth, amused by the cute coupling of Bingley and Jane, disapproving of the flirtatious Lydia and embarrassed by the shrill Mrs Bennet. Mary doesn’t enter into most people’s thoughts at all. I’m not going to give a synopsis of this book because most people are familiar with the story even if they’ve not read the original. What Jennifer Paynter attempts to do here is to take an unsympathetic character, a very unlikable character and seek to give her a background, a reasoning. P&P starts when Mary is probably in her late teens, so we’re given very little insight into their childhood. Whilst this novel retells the events that occur in P&P, it starts before that and also goes past it. Mary was the third daughter born into a line with an entailed estate, and as such her birth would’ve most likely been a disappointment to her parents. She falls behind two sisters who are very tight and ahead of two sisters who also become quite close, isolating her. Her father clearly favours Elizabeth for her wit and her mother clearly over-indulges the spoilt Lydia. Paynter suggests that Mary’s awkward position within the family helps shape the character she becomes. There’s no doubt that Paynter’s Mary is jealous of her sisters, for different reasons. She herself is quite plain, unlike Jane and Elizabeth who are well famed for their fair looks locally. 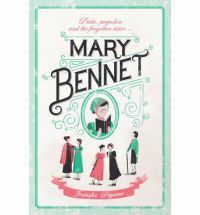 Mary Bennet is very much a study on sibling rivalries and relationships. Mary is rather a perfect character to shape into an adaption because the readers of P&P really do know (and care) so little about her. She isn’t a large part of the story in the way that Jane, or even Lydia were and she wasn’t a character that anyone probably spared more than five minutes on. She gets quite the raw deal and is therefore perfect to elevate to protagonist status and give commentary on the events that are occurring. Mary is intelligent, highly bookish and often overlooked, even by her very own family. She doesn’t travel with any of the other sisters when they go away, she isn’t included in their confidences and she’s conveniently placed throughout to give an impartial account on just what happens after Bingley leases Netherfield. I will be honest – I don’t often read adaptations. I’ve read a couple of ‘what happened after…?’ ones revolving around Darcy and Elizabeth’s marriage when I was younger but they were always quite unsatisfactory. But the reason I agreed to read this one is because it was about such a little known (even unimportant) character. And what I appreciated about it was that Paynter didn’t try and change Mary. She didn’t try and make the reader like her, or realise that really she was quite stunningly beautiful once she took off her glasses and got a new dress. Mary is awkward. She is relatively plain, although with quite nice eyes. She is socially inept and she is withdrawn. She’s pious and sometimes tedious and sometimes I wanted to just roll my eyes! Through shaping her a background, a childhood of being left out and mostly ignored, a traumatic event, a slight depression, the reader is instead granted an understanding into Mary’s quirks. I think the sibling themes are very well explored. There are events in Mary’s childhood that lead to a sort of separation of her from her sisters and thus without her, the two bonds strengthen – the older and more sensible pair of Jane and Elizabeth and the younger and more reckless pair of Kitty and Lydia. And whilst those two pairs do grow they come to regard Mary as a loner, believing her not interested in them, shutting her out more which then intensifies Mary’s resentment and jealousy of her siblings and makes her further determined to withdraw herself from them emotionally. It’s a cycle that perpetuates itself into their adolescence. And because the book is told through Mary’s eyes and in Mary’s voice, she sees various characters quite differently, most notably Elizabeth. Although quite distant and often critical of all her sisters, Mary seems to reserve a particular jealousy for Elizabeth, the closest to her in age and yet so very different from her. Mary also feels as though Elizabeth has no time for her and that the affection she shows her sisters is bestowed upon her grudgingly, mostly at the urging of Jane, who is ever the peacemaker. Mary does get a life outside of the Bennet family here, having a friend of her own and also a little romance that blossoms slowly. I did really enjoy the choice of love interest for her, I thought he was a perfect balance for the character of Mary and that her interactions with him showed a softer and much more accessible side, even though she made mistakes and found it hard to ‘let go’ of her scholarly ways. If you like adaptations or you’re curious about the character of Mary, then I would advise to give this one a go. There’s a lot to like and the voice and tone in particular felt quite genuine and very much in keeping with Austen. If you are a very staunch Elizabeth fan and couldn’t bear to see her portrayed in another light, then this perhaps isn’t the book for you! 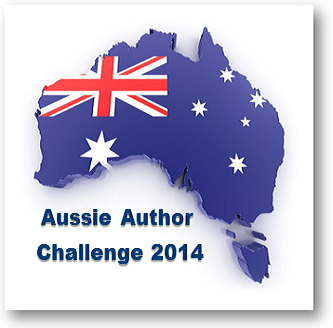 As for me, I found it a very enjoyable and easy read. Whilst it does outline the events of the original P&P they are often glossed over and it doesn’t bog down the narrative repeating things that most people would already know. There were some definite strengths in the parts of the book that were original, the fleshing out of Mary’s character and her motivations. 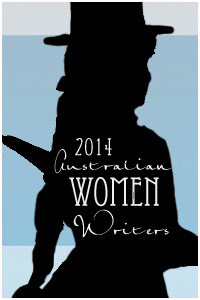 Mary Bennet is the 26th novel read and reviewed for the Australian Women Writers Challenge. 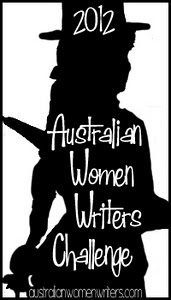 For more information on Jennifer Paynter and why she chose to write as Mary Bennet, see the guest post she did for my blog here. I love the idea of exploring Mary’s character but I don’t know if I could bear Lizzie portrayed in an unfavourable light! I do love her so. But I can see why Mary would be jealous of her. It makes sense – she does seem to get the raw deal in the family. The light isn’t always unfavourable but this book does play up on some of Lizzie’s flaws and there is a distance between the two sisters. Mary does provide an interesting opinion on Elizabeth’s actions around Darcy and the whole situation and even though she is jealous of her and she does occasionally see her negatively, it’s not something that I think penetrates the whole book. It’s all based around the sibling issue and the way that the cards fell in favour of order of birth etc.